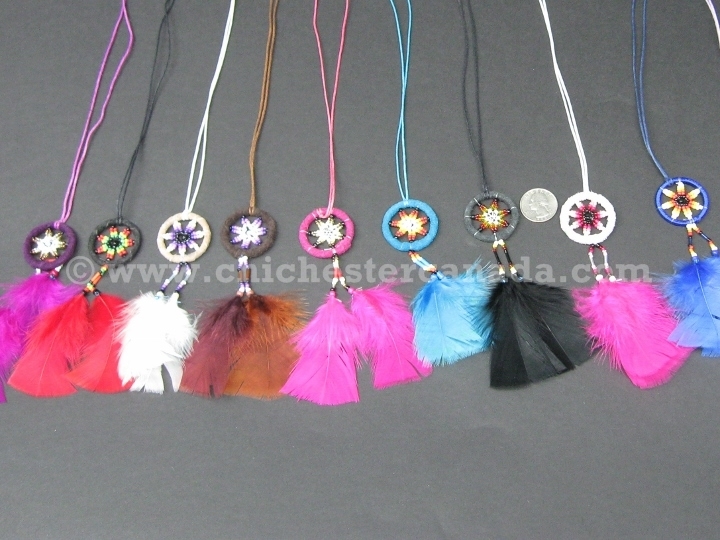 These dreamcatcher necklaces are handmade by the Inca of Peru and comes in various colors. The dreamcatcher rings are 1.25" in diameter (3.2 cm) and the necklace is 25.5" long overall (64.8 cm) with 20.5" long (52 cm) strings. Each weigh about 2.8 grams.